I can haz jerky now? She's her daddy's daughter. We had to pull over at a roadside jerky store back in Arizona so they could stock up. The buffalo jerky was gone before we left Las Vegas. But the aroma lingered in the hall outside of our hotel room a bit longer. I don't know. 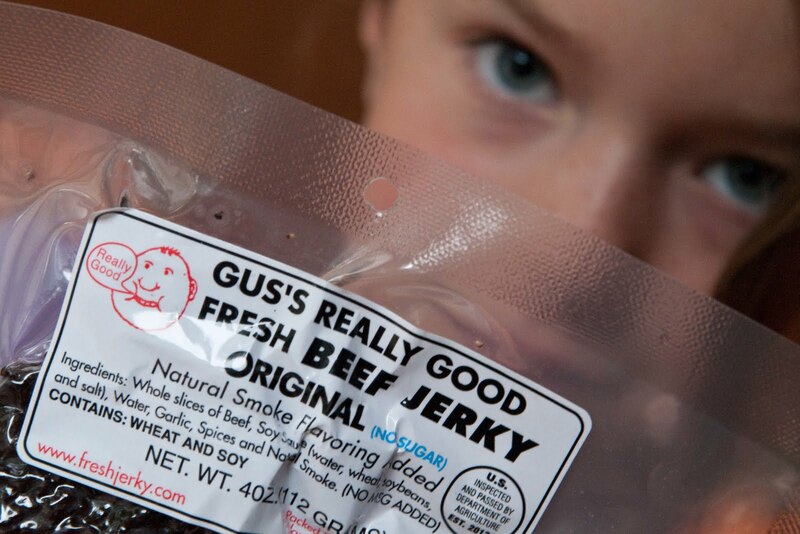 I pass a store here up north that says they have the world's best jerky. Stuff is not a cheap snack.